In today’s world, almost everything is connected to the internet. We have smartphones, smart television, so why not smart homes? Smart homes are a step towards the revolutionary ladder for houses and their main aim is to make our lives easy and comfortable. It involves the use of gadgets and computing technology to make tasks easy for us. London properties are very often have smart home technologies fitted. You should reach out to smart home installers in London, to help you make your life easy and convenient. They will provide you with the best smart home technology in London. Let us highlight more about the reason behind this growing industry of smart homes. A smart home involves the use of smart thermostats, which regulate the temperature of your house automatically. These thermostats are designed to modify the room temperature with the changes in the external environment. In the long run better control of your heating and cooling can save you money on energy bills. Many companies like Inspiring Deisgns can provide home automation installation in London. They also improve your comfort level at home. A smart thermostat can be used by you remotely when away from your home too. So, you can tune in the temperature before arriving from office. The following are the features that you are bound to find in a smart home in London. These are the components that make up a smart home in London. For an average smart home buyer in London, a smart home must include the above-mentioned features. The EER marked appliances in a smart home save you a lot of energy, thus benefiting the environment. According to reports, about 48% of energy is used in houses on expense of heating and cooling. 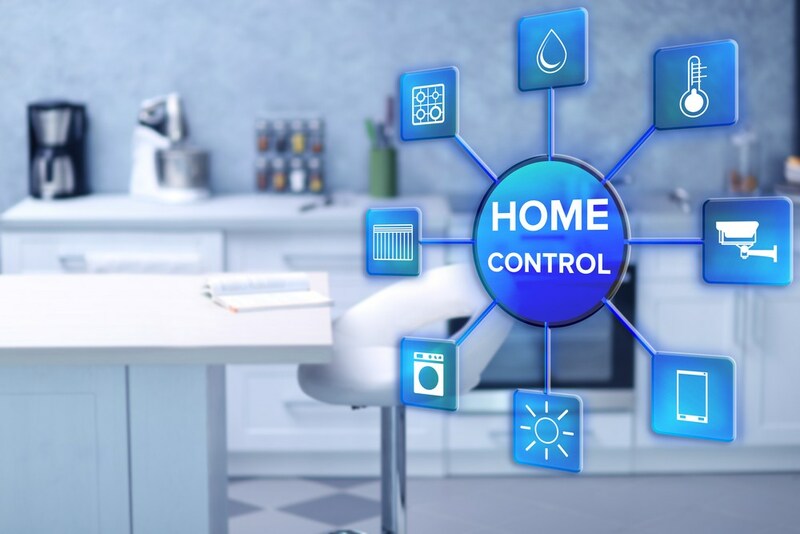 With the use of smart thermostats in the houses, these expenditures can be cut down effectively, thereby saving the environment and saving you money. The emission of greenhouse gases can be minimized. 1050 pounds of carbon dioxide can be prevented from entering the atmosphere at a temperature of 3 degrees Fahrenheit. The main reason for the growth of this industry in London is its ability to make our lives much easier as compared to a simple house. Smart homes are a great advantage to the busy life of the average Londoner. In today’s era, the opportunities and the facilities of a smart home have widened. Earlier the application was limited to cameras only, but now other features have been included like, fire detection, leakage of gas detection, entertainment systems, lighting systems, etc. This is the main reason for the growth of this market in London. People are buying smart homes every year with an increasing rate of 15%-18%. Smart homes have revolutionized the world technology, for good. But lack of awareness amongst the masses is one of the obstacles in the hindrance of its growth. However, with time, the acceptance and awareness levels are increasing, and people will definitely adopt these smart technologies and make their lives comfortable.